A sincere thanks to this year's excellent speakers, exhibitors, and sponsors! and thanks to all of you who attended and supported GLSPS and its mission! The USS Arizona Memorial, at Pearl Harbor in Honolulu, Hawaii, marks the resting place of 1,102 of the 1,177 sailors and Marines killed on USS Arizona during the Japanese surprise attack on Pearl Harbor on December 7, 1941 and commemorates the events of that day. 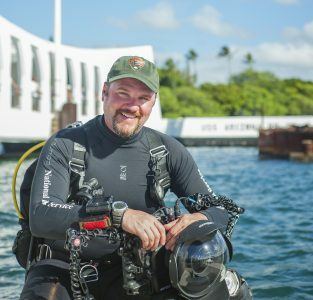 With several hundred dives on the USS Arizona as part of the National Park Service Submerged Resource Center there is no one better to tell the underwater story of the US historic site. 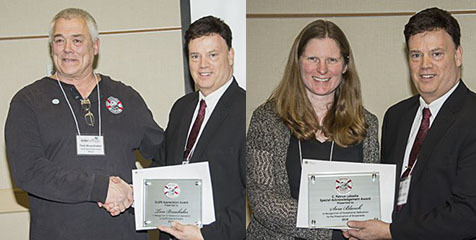 Congratulations to our very deserving 2019 Award Recipients! Like and Follow Us on Facebook to be the first to get details for the show! 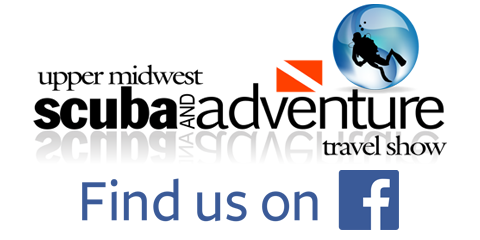 The Upper Midwest Scuba and Adventure Travel Show is hosted by, and supports, the Great Lakes Shipwreck Preservation Society. Like and Follow the GLSPS on Facebook as well! This page is very active throughout the year and a must-follow for anybody interested ships, shipwrecks and maritime history.